Previously known as InTech, the Get Stacked event was started to meet marketers’ growing interest in Martech. We were fortunate enough to attend the first of what we think will be many future events. With over 350 attendees on the day, as well as an additional 60 industry professionals showing up for the awards, it was a bustling event ripe with opportunities to learn all the latest about marketing technology. The morning began with 3 keynotes, which were attended by everyone. This included an insightful talk from Gareth Case, CMO at Redstor, who discussed the ins and outs of becoming a Martech hero. He enlightened the audience with his demonstration that a good martech stack makes sales and marketing accountable – and can prove that marketing should be front and centre on the board. After the closing keynote, we attended the drinks reception, complete with canapés and an atmosphere bristling with anticipation. Finally, the Martech Awards began. Up against stiff competition, including the likes of O2 and HSBC, we were delighted to win two accolades. 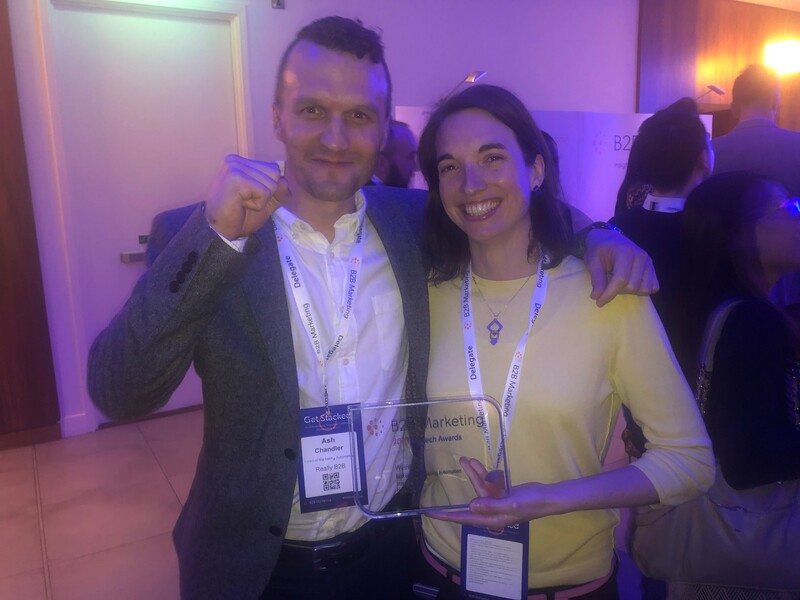 Our win for Best Use of Marketing Automation came off the back of our work with TMF Group, which included a strategy which enabled them to more quickly identify prospects at the buying stage of the decision-making process, provide tailored customer journeys and create a current client-focused campaign to cross-sell additional services. The results? TMF’s MQLs increased by 121%, and the campaign is currently achieving a 1,261% pipeline ROI. 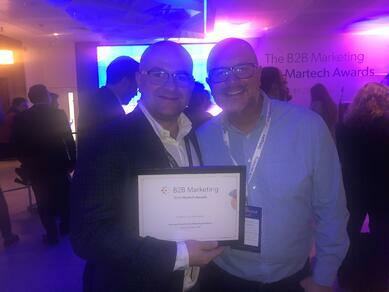 At Really B2B, we’ve got a super strong team fully capable in all marketing automation technologies, specialising in Marketo, Hubspot, Eloqua and Pardot, and we’re also a Hubspot agency partner. So, it’s safe to say we have the all the experience and expertise to help you start utilising martech at your business. Whether you're dabbling in new technology or are a seasoned MA-er, take a look at our latest tipsheet '20 insider tips you need to know about marketing automation'.